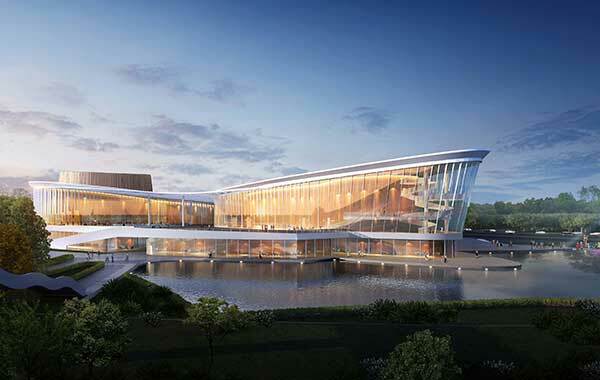 China's first arts center to be built in a forest will open to the public in September 2019 when it co-hosts the Shanghai International Arts Festival. 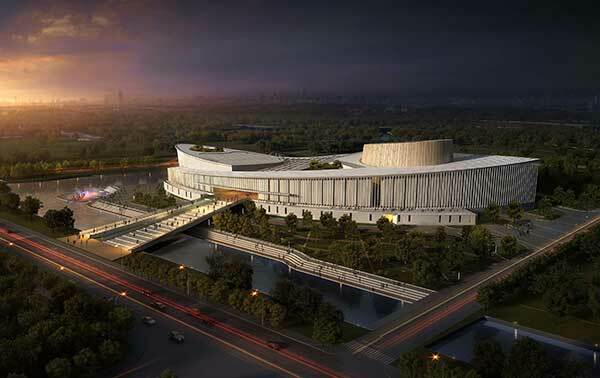 The Nine Tree Art Center will complete its construction ahead of hosting the annual arts festival, the Fengxian district government announced. Covering a total area of 67,000 square meters in Shanghai's southern suburb, the center comprises three theaters with a combined seating capacity of 2,000, alongside a further two outdoor theaters. Designed by French architect Frederic Rolland, it is hoped the center will not only stand as a cultural landmark for the city, but will also bring humans and nature together, thanks to its unique location inside a 4.78-square-kilometer forest, which is about 1.5 times the size of Central Park in New York City. 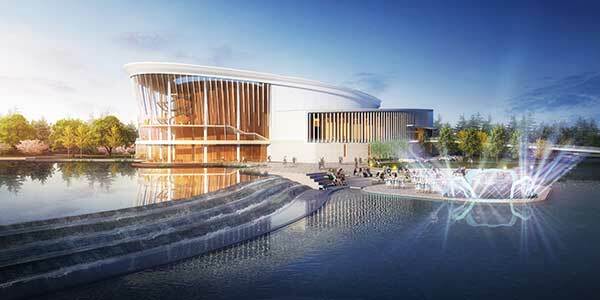 The main theater, which will seat an audience of 1,200, is shaped like a budding seed when seen from a bird's eye view. The venue's sound system has been devised to adapt to different types of performance, including musicals, plays and pop concerts. "The geographical size of Fengxian is 720 square kilometers, but we don't limit our development just within the area. The art center, for example, should become a cultural hub for the entire Yangtze river delta region," he said at a media briefing on November 28.